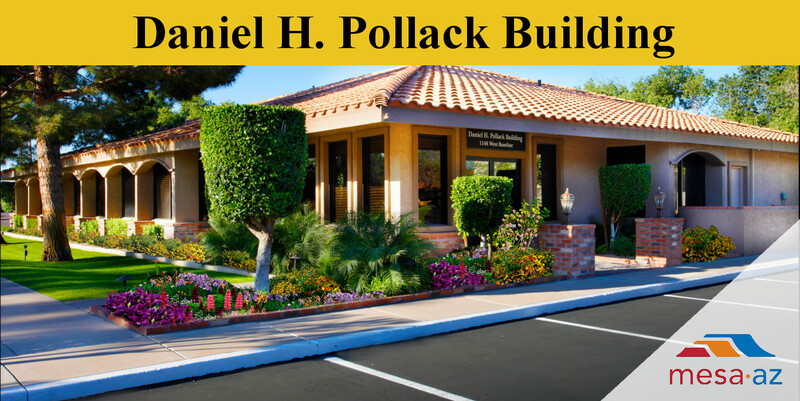 The Daniel H. Pollack office complex has been recently redeveloped by Michael A. Pollack with beautifully landscaped exterior and remodeled offices throughout the 5,438 square foot complex. Soaring pine trees with lavishly manicured grounds also bring a distinction to the property which is located only 1 block south of Hwy 60 just off the Northeast corner of Alma School and Baseline Road in Mesa Arizona. In addition to this beautiful office complex is ample parking and covered parking. The location is key to this unique property which lies only 1 block west of Arizona Ave. and only 2 miles east of Hwy 101. 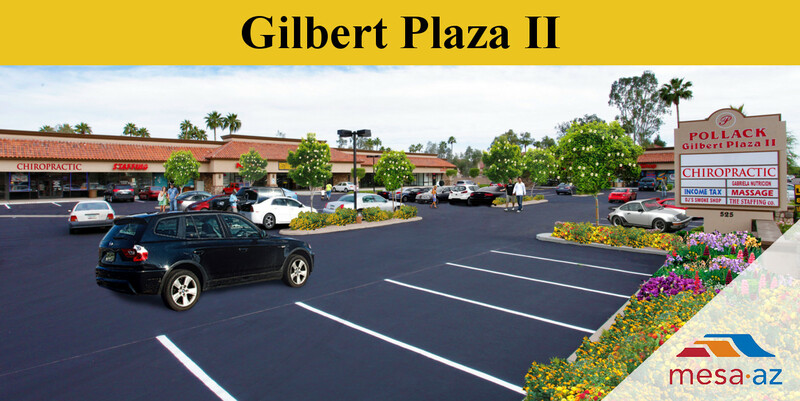 Gilbert Plaza II is located in the heart of Mesa, Arizona just South of the Southeast corner of Gilbert and Broadway Road. Newly Renovated! Beautiful upgraded stone accents have been added, with a fresh landscaping design and other exterior elements that increase this projects appeal and functionality for almost any new, relocating or expanding business. 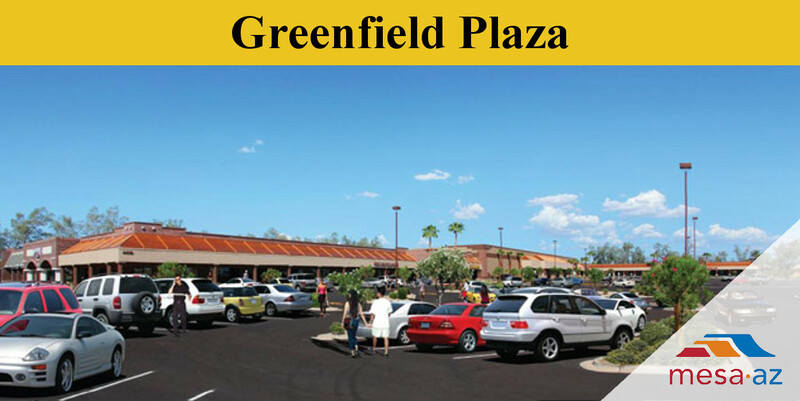 Greenfield Plaza is located at the Northeast corner of Greenfield Road and University Drive in Mesa, Arizona. This retail center has been magnificently renovated with ample parking, excellent signage and is anchored by Goodwill Industries. The highly traveled intersection of University Drive and Greenfield Road sees approximately 37,000 cars per day offering an excellent opportunity for many types of businesses to open locations in this high density infill residential sub-market. Safeway Marketplace (Guadalupe Plaza) is a grocery anchored retail shopping center located on the Southwest corner of highly traveled Alma School and Guadalupe roads in Mesa, Arizona. 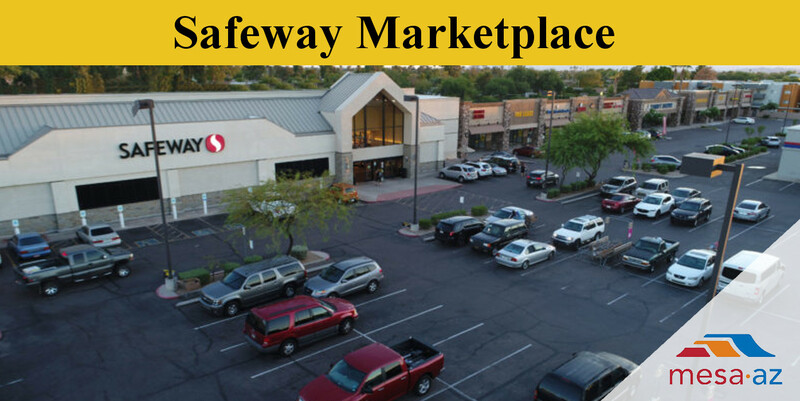 The recently renovated Safeway center dominates the grocery store market in this high density neighborhood. There is ample parking and excellent monument signage making this an optimal infill location for any new, relocation or expanding retail business. 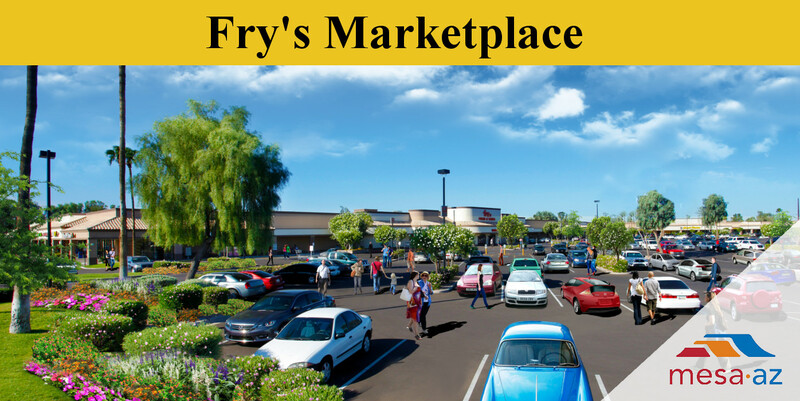 Fry’s Marketplace is located on the Southwest corner of highly traveled Broadway and Lindsay Roads in Mesa, Arizona. Fry’s Marketplace is an established retail shopping center that underwent an extensive renovation of the Fry’s Food and Drug Store inclusive to the addition of a new Fry’s fueling station in 2012. This grocery anchored shopping center has a vibrant tenant mix, which includes Fry’s Food & Drug, Planet Fitness, Subway, Pizza Hut, Whataburger and Taco Bell. The property has been maintained exquisitely and has had one of the most consistent tenant mixes in its market area. This great center would be an incredible location for any new, relocating or expanding retail business. 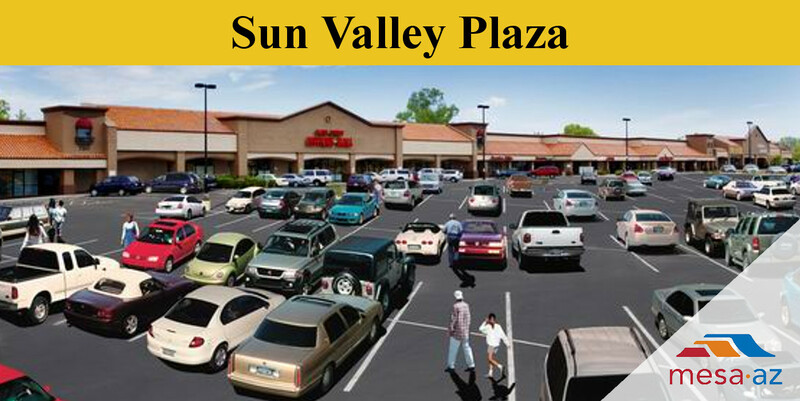 Sun Valley Plaza in East Mesa is part of the larger Sun Valley communities which surround this recently renovated center. This property serves as the cornerstone to the entire neighborhood. 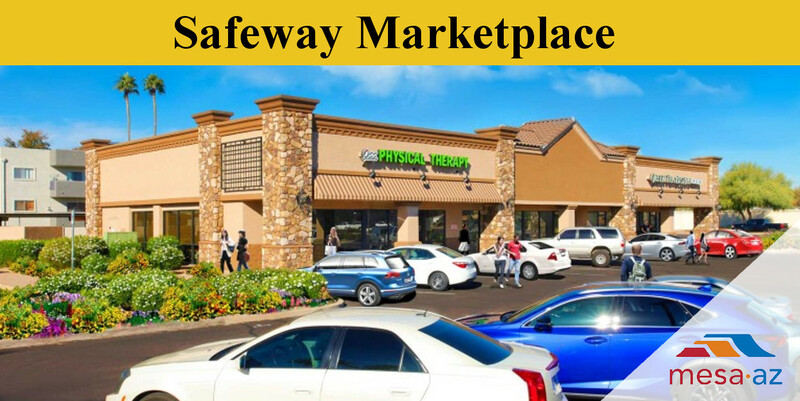 This retail center with its professionally maintained landscaping and modern design elements, make it the perfect location for any business, new, expanding or relocating business who are looking to capitalize on the stability and growth of the East Mesa area. 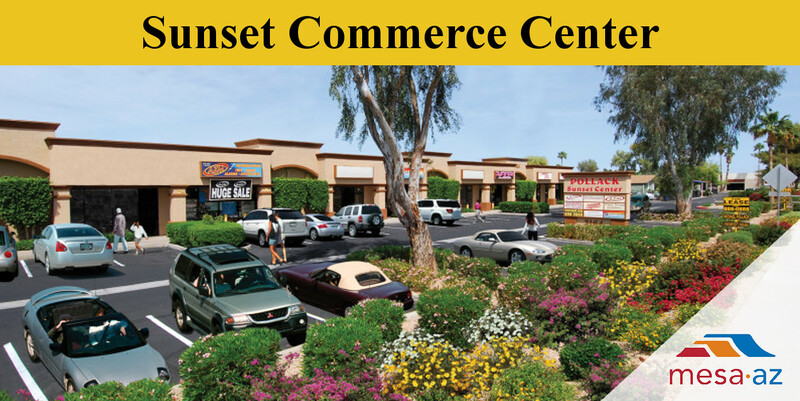 Sunset Commerce Center in Mesa, Arizona has a unique tenant mix that serves the basic needs of the surrounding community. 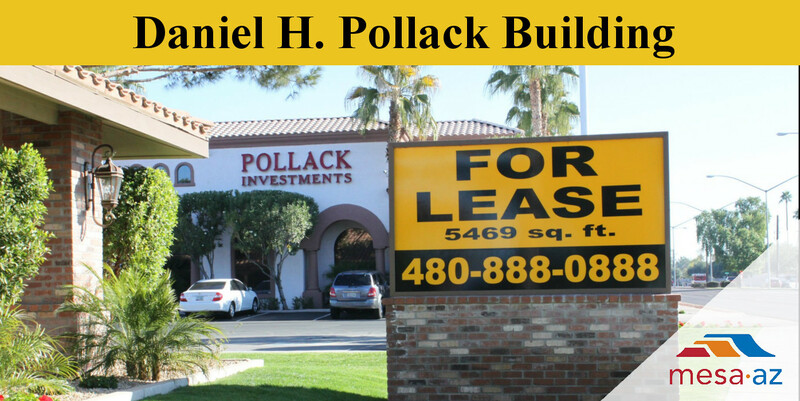 This industrial/showroom property features exceptional frontage on Country Club Drive (Arizona Avenue HWY 87) which is one of Mesa’s most traveled roads with over 70,000 vehicles passing by the center each day. This property would be an excellent location for almost any new, relocating or expanding business looking for an industrial showroom or office location. 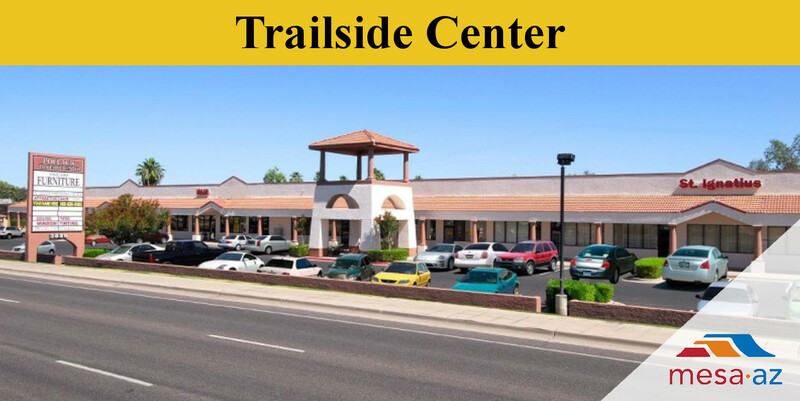 Trailside Center has a diverse mix of retail and office tenants, and is located in the growing city of East Mesa. The property is professionally maintained and strategically located to provide goods and services which suit the needs of its surrounding community.